Perception versus reality is a topic I have covered a few times on this site. One aspect of that topic that I haven’t delved into is the perception of the architect. The general consensus is that architects are intelligent, honorable, stylish (e.g. wear a lot of black) creative types … the plus side of being an artist without the “starving” precursor. 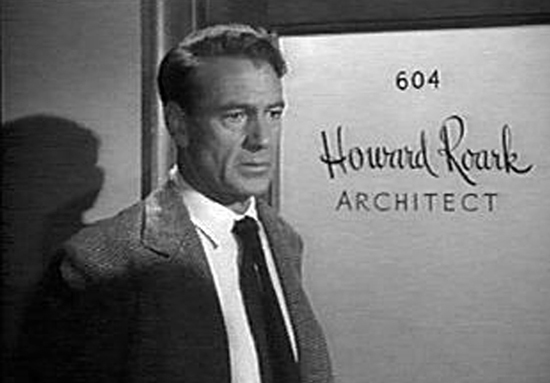 Architecture is frequently chosen as the profession for characters in the movies and on TV for the simple reason that there is no downside to the character perception of an architect. They can be all the things you want your hero to be without the baggage that comes along with other vocations typically associated with highly intelligent people. You also can set your story however you want … meaning if your character is a doctor, it’s a medical show, lawyer … a legal drama, a cop, well, a cop show. Architects can do and be anything the writers of these shows want them to be. Even if Hollywood doesn’t really understand what we do, there is clearly a perception that architects are ethical and responsible and will endeavor to make the right decision to their own detriment. While all those items might (or might not) be true, if you find yourself on the singles market and learn that your suitor is an architect, don’t be fooled by what you have learned on TV – there is a lot of other information about architects that you need to know. You can’t base your information off what you learn from Hollywood … be sensible, you need to include some information you find off the internet. Do you need something glued? Architects can tell you when to use white glue vs. hot glue vs. rubber cement vs. epoxy. It’s not complicated but everybody gets it wrong. Do you think you have an opinion? If you can’t “articulate” why you have said opinion it will be considered inferior. It will probably be considered inferior anyway but you have no chance if you can’t explain exactly why you have the opinion that you have. Thinking about taking a trip (like to Hedonism)? If it isn’t somewhere architecturally significant or have some redeeming historical context … you probably won’t be going. Architects don’t have as much money as you think they do … and what they do have is on the 10 year “Eames Chair and ottoman Savings Plan.” The flip side is that architects don’t spend money either. It’s not that they’re cheap, they are just saving their money until they can buy the exact thing that they want. Architects don’t seem to love anything that actually exists. They might say that they really like something … but even then they will systematically point out all of its flaws. Did you know that there are different shapes of X-Acto blades? Don’t feel bad … unless you build models, N O B O D Y knows that. Architects will make sure that when you need the right X-Acto blade, you will have the right X-Acto blade. The likelihood that you will attend “Late Night at the Museum”, gallery openings, and photo exhibits is extremely high. Architects think they are handy when in fact, most are not. Just because they own a nice screw gun and understand what the contractor is saying does not necessarily translate into being able to do it. (Of course you won’t learn this lesson until after the cabinets have been pulled off the wall…). The few that are handy will take an extremely long time to complete a project because they are striving for perfection. Architects are constantly learning new skills. As a group, they tend to want to learn by doing but since they are erudite, they will most likely read a book about it first. According to a very scientific research study (conducted by me), a very high percentage of architects enjoy cooking. According to that same study, an even higher percentage of architects hate washing dishes. Be prepared for all your new friends to be other architects. Architects lose the ability to speak like regular people because in college, “archispeak” is drilled into their heads like waterboarding. Listen to an architect talk for an evening and I can guarantee that you will hear at least one of the following words: “juxtaposition” “axis mundi” “clarity” “truncated” “uniformity” and “composition”. Architects are very good at giving their opinion as if it were fact and will be so convincing that you will think they know something about everything. Do not be fooled, they learn to speak this way in architecture studio. If it isn’t black, white or gray (but mostly black, let’s not kid ourselves) architects don’t know how to dress themselves. You might think that architects have a good sense of style, they don’t … it’s the same style and the rules as passed down from one generation of architects to the next. Architects will continue to wear black … at least until something darker comes out. Any hope you had of remaining ignorant to unresolved plan geometries that create chaotic roof forms is lost. Architects don’t have tremendous upper body strength. Or lower body strength. Architects have an unnatural relationship with their coffee. And if it isn’t in a particular paper cup from a particular coffee vendor, it will be out a the same mug. Every day. So there you go, a little inside information on the character traits of most architects – man or woman. All things considered, you could probably do a lot worse. From what the research would indicate, the character traits for “Homeless Alcoholic Gambler” would be worse. What's an architects day like? Square, Crescent or Nugget? How do you like your ice? Architectural Interns - "Just Follow the Recipe"
Filed Under: Architects, Life in General Tagged With: Architects, what?